We have new kits in the Jewelry Kits section of the store. It's a great time of year to get started in making your own jewelry. You can use your new skills to create unique jewelry pieces to coordinate with your favorite holiday outfits. You'll also be prepared to make earrings, bracelets, and necklaces to give as creative handmade gifts for family and friends. You'll have fun finding beads in all of their favorite colors! The 101 Tips & Techniques Beaded Jewelry Kit from Walter Foster is a complete jewelry kit for beginners to intermediate level bead crafters. 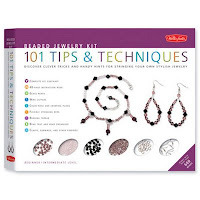 This kit includes everything you need to learn and apply the 101 jewelry making tips and techniques provided in the 48-page instruction book. This beaded jewelry kit comes with a nice assortment of over 600 beads, including glass nugget beads, round faceted beads, faceted oval beads, glass bicone beads, glass tube beads, and glass seed beads. You also receive 3 jewelry making tools, including wire cutters, chain-nose pliers, and crimping pliers. Also included - flexible stringing wire, beading thread, lobster-claw clasps, fishhook earwires, head pins, eye pins, jump rings, crimp beads, and a bead tray/organizer. 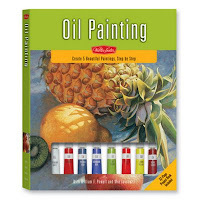 In addition to learning 101 tip & techniques, the book includes a step-by-step demonstration, showing you how to make a 3-piece jewelry set. You can follow the demonstration provided or you can create your own unique jewelry designs using the new skills you have learned. If you've been reluctant to get started in jewelry making because you weren't sure where to start, then this is the kit for you! This jewelry kit makes it easy by bringing all of the necessary tools, supplies, and instruction together for you. The Blue & Lime Beaded Bracelet Kit is a Beyond Beautiful Jewelry Kit from Cousin. This is an easy bracelet making kit, including all of the glass beads, metal beads, and clear elastic cord you need to make 5 bracelets! The beads are organized in a tray that is also a bracelet design board. This is an easy jewelry craft kit for anyone to create one-of-a-kind glass bead bracelets at home. 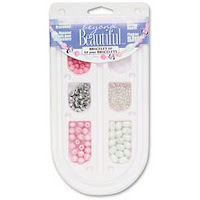 The affordable price of these bead kits makes them an ideal jewelry kit for parties or a girlfriend get together. 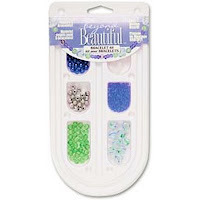 Make sure to see the Beaded Bracelet Kit - Turquoise bead assortment too! If you're new to making jewelry, make sure to visit About.com's Jewelry Making Beginners Corner. You'll find a nice selection of articles and projects especially for beginners. Jewelry making categories include: bead basics for beginners, getting started, bracelets for beginners, easy holiday jewelry, and more! Jewelry kits make it easy to get started making your own jewelry at home. 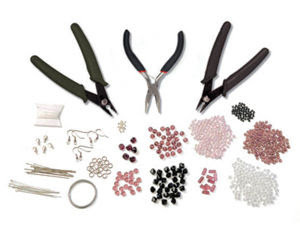 Visit the Jewelry Kits section of the store to see all of our beginner jewelry making kits. Explore a variety of creative project kits at Weekend Kits and get ready to learn a new skill on your next Weekend at Home! We have a new selection of creative project kits in the Seasonal & Holiday Kits section of the store! Get ready for the fall season with easy mini quilt kits you can make in just 2 hours! 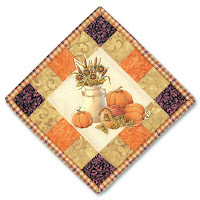 You'll enjoy the warm autumn colors of the coordinating Fall Harvest Mini Quilt Kits. 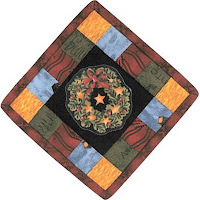 They're complete quilt kits from Quilt in a Day, a trusted name in quilting. 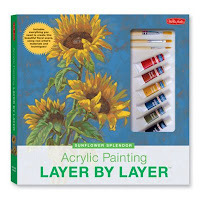 These kits are a great weekend craft project for families to spend creative time together! 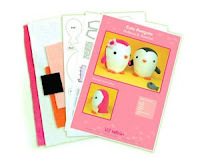 They include pre-cut fabric strips, a fussy cut picture, backing, batting, binding, magnet, and detailed instructions. Your finished mini quilts will be approx. 7 inches square. Make your holidays brighter with mini quilts designed for the season! The Christmas Traditions Mini Quilt Kits highlight 3 traditional holiday designs - a wreath, stocking, and present. Mini quilt kits are ideal for beginners to learn to sew a quick & easy holiday craft project. Detailed instruction guide you through the quilt making process. The small size of this quilt project makes it easy to handle and quick to complete! Use the magnet provided in the kit to instantly display your mini quilts on any metal surface. Mini holiday quilts are a creative handmade gift to bring family and friends for Thanksgiving & Christmas! We've added new felt applique stocking kits from Bucilla. 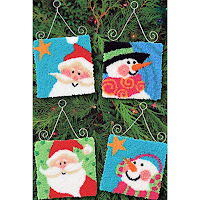 The Santa Says Hello Felt Christmas Stocking Kit is a festive holiday design by Mary Engelbreit. 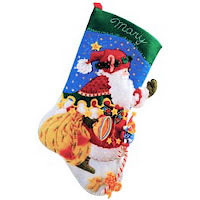 This beautifully embellished stocking features a traditional Santa dressed for the occasion and waving "Hello". The Snowman & Friends Felt Christmas Stocking Kit is a sweet holiday design, featuring a cheerful snowman surrounded by his woodland animal friends. Your completed stocking will become a treasured keepsake for a little boy or girl. Felt stocking kits include everything you need, including stamped felts, cotton floss, sequins, beads, needles, and instructions. Your finished stocking will be approx. 18 inches diagonal. If you enjoy punch needle embroidery, make sure to see our new Punch Needle Christmas Ornaments Kit from Dimensions. The 4 colorful designs included in this kit will be a warm and bright addition to your Christmas tree this year! This punch needle kit includes foundation fabric with pre-printed designs, embroidery floss, felt, wire, and easy instructions. If you haven't done punch needle before, kits make it easy for beginners to learn this creative needle art craft. See our complete collection of stocking kits, ornaments kits, and tree skirt kits in the Seasonal & Holiday Kits section. 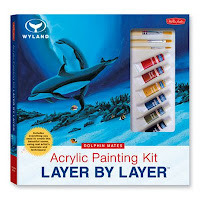 Visit Weekend Kits to explore a variety of creative project kits for your next Weekend at Home. You won't want to miss our new selection of Plush Animal Sewing Kits called DIY Fluffies. You'll find them in the Sewing Project Kits section of the store. They're ready-to-sew project kits for you to create one of these adorable soft plush toys. I'm glad to have these creative kits available now, prior to the holiday season, while there's still plenty of time left to sew! DIY Fluffies are designed by Mariska Vos-Bolman, the very creative designer and creator of Fluffels. 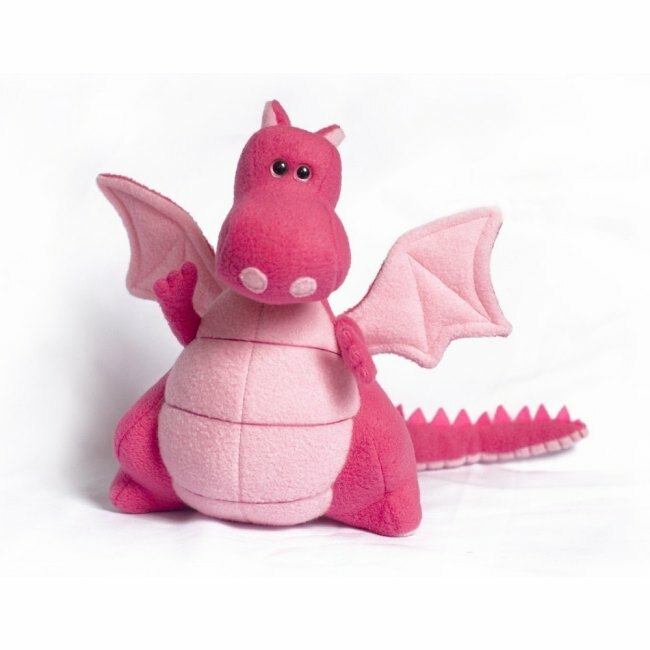 These sewing kits include a plush animal sewing pattern, soft fleece fabrics, and detailed instructions. 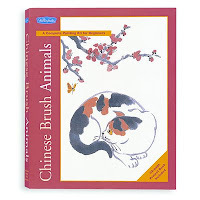 There are 3 animal patterns to choose from, including a kitty, a penguin, or a dragon. The recommended skill level for the Cute Kitty is Easy. It's a suitable sewing project for beginners with some sewing experience. The finished size of your plush cat will be approx. 10 inches long, just the right size to hold in your lap. Be forewarned, you won't want to let go of this soft plush kitty once you pick it up! The recommended skill level for the Cute Penguin is Intermediate. Your finished penguin will stand approx. 7 inches tall. The pink penguin includes the flower and the black penguin includes the little fish. They just look so sweet together! The recommended skill level for Yoki the Dragon is Advanced. This is an ideal sewing project for someone with sewing experience to make a unique, handmade plush toy. Your completed dragon will stand approx. 10 inches tall. I think you'll agree that there's just something about Yoki that's hard to resist! You'll need some basic sewing supplies to complete your plush animal sewing kits, including a sewing machine, stuffing, scissors, needles, thread, and pins. You'll find a nice selection of essential Sewing Supplies in the Kit Tools & Supplies section of the store. Weekend Kits in Country Living Magazine! "Weekend Crafts, Gather the children and spend a Saturday creating one of the many projects available to order from weekendkits.com." It was very exciting to see our store get noticed in this reputable magazine. 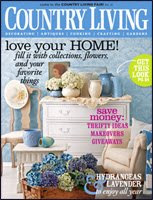 Thank you Country Living! I hope you're inspired by the variety of creative project kits available at Weekend Kits. It's our goal to bring together a unique collection of kits from many different sources. We also strive to offer kits that cover a range of skill levels, from beginner to advanced. Kits make crafting easy, convenient, and fun. 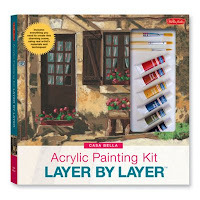 Choose a kit today and get ready to create something new and unique on your next Weekend at Home!